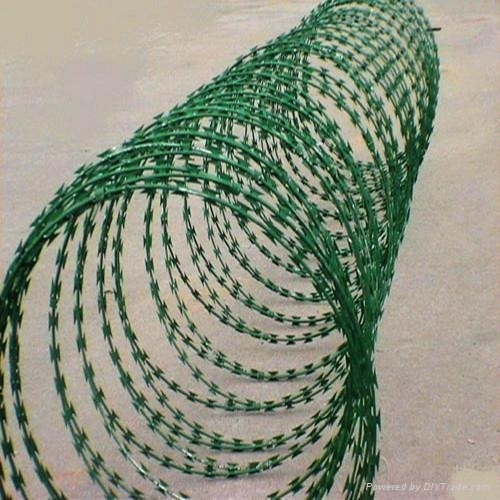 Razor barbed wire is also named concertina coils or razor typed barbed wire,It is a new type of guard fence. Characteristics:With beautiful and sharp blades and strong core wire,razor wire has the feature of good deterrent efforts,nice appearance,easy installation,economical and practical and other properties. 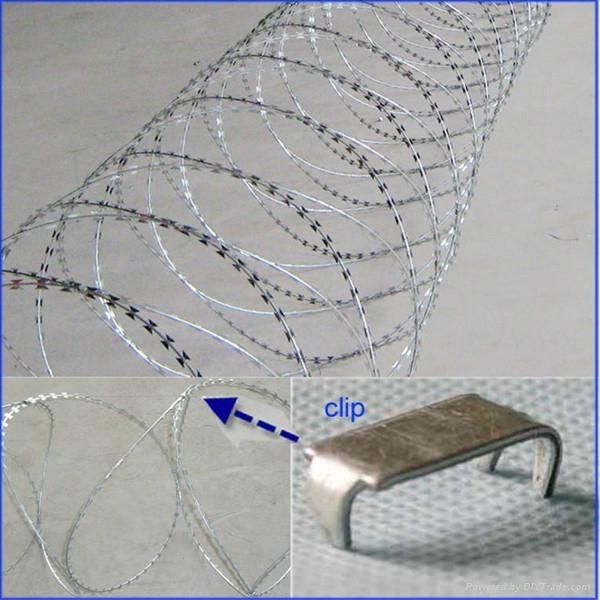 Application:Razor barbed wire is widely used in apartment house,organization units,prisions,frontier defense,military fields and other sites requiring severe fencing and security. Technique:Razor barbed wire is a kind of blocking material,which is composed of blades made of galvanized steel or stainless seel plate with punching a sharp knife flake and a high tension galvanized core wire or stainless steel core wire.With its unique appearance and security,razor barbed wire can achieve excellent protection and screen effort.The mainly material of razor barbed wire are galvanized steel and stainless steel plate. 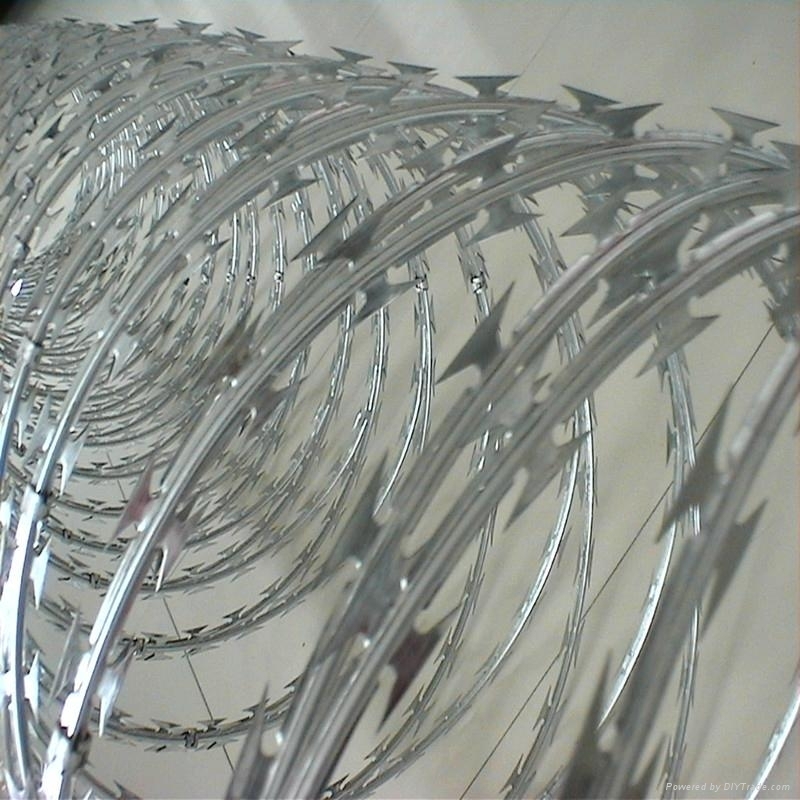 Classification:Razor barbed wire can be classified into concertina coils,straight type razor wire,crossed tpye and flat type according to the installation models.